The PTZ-7000 long range surveillance camera solution is a high spec IP PTZ camera system designed with high precision pan/tilt and a large size optical lens to cover the distance of a long range application like coastal surveillance, harbour control, large area security. 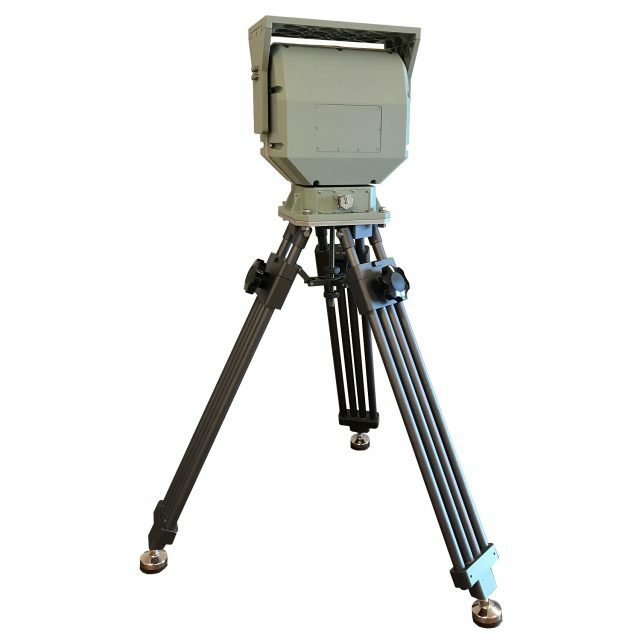 The lenses are equipped with autofocus to ease the operation and to be able to control the system at a distance, even with delay on the network connection. The large IP66 camera enclosure are made of aluminum with stainless fittings. 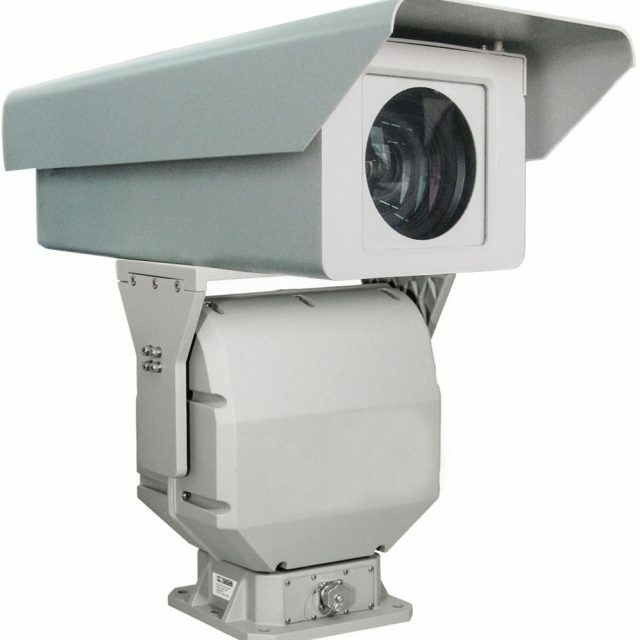 The housing are specially made for this PTZ camera system to optain the best quality and stability in the housing. The housing are made to fit the 750mm or the 1000mm lens. The housing are equipped with heaters and has a operation temperture of -25°C +65°C. The housing can optionally be equipped with a wiper system. 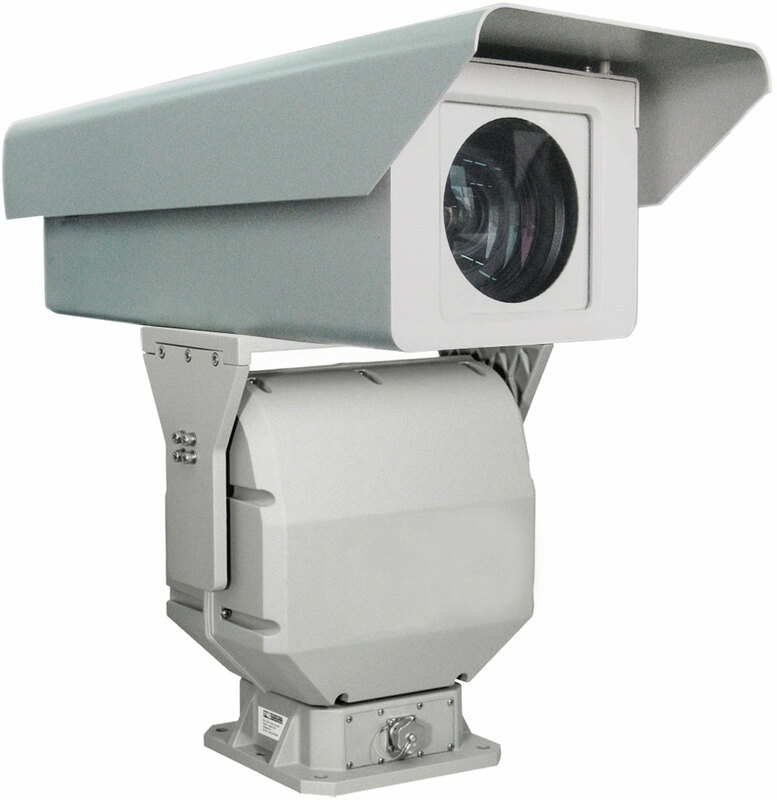 The PTZ-7000 surveillance camera system can be ordered with 60X zoom 12,5-750mm or the 60X zoom 16,7-1000mm. Both lenses are equipped with autofocus system for easy operation. The camera in the PTZ-7000 system is a IP camera equipped with a high sensitive 1/1.8″ progressive scan 2MP CMOS sensor. The camera change from color to B/W at night time for the best light sensitivity. The resolution of the camera are 1080p. Double sunshield to reduce overheating caused by sun rays. Eliminate hot spot areas in the housing and ventilate the window. 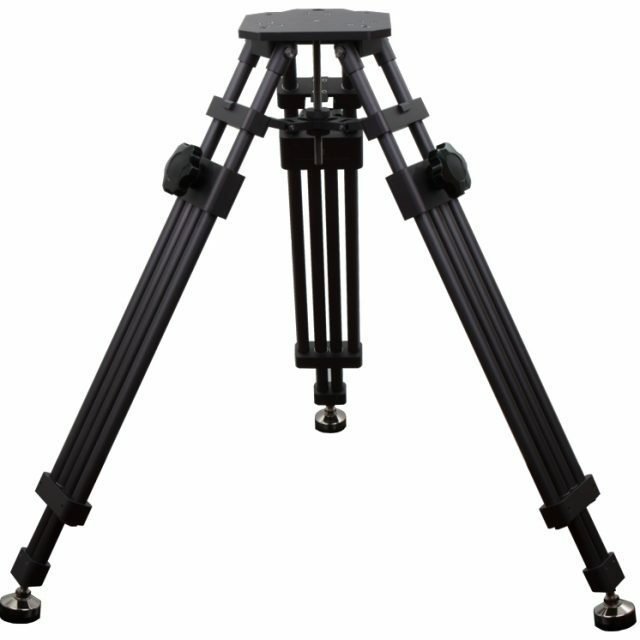 Made of aluminum and have a hight between 750mm and 1250mm. 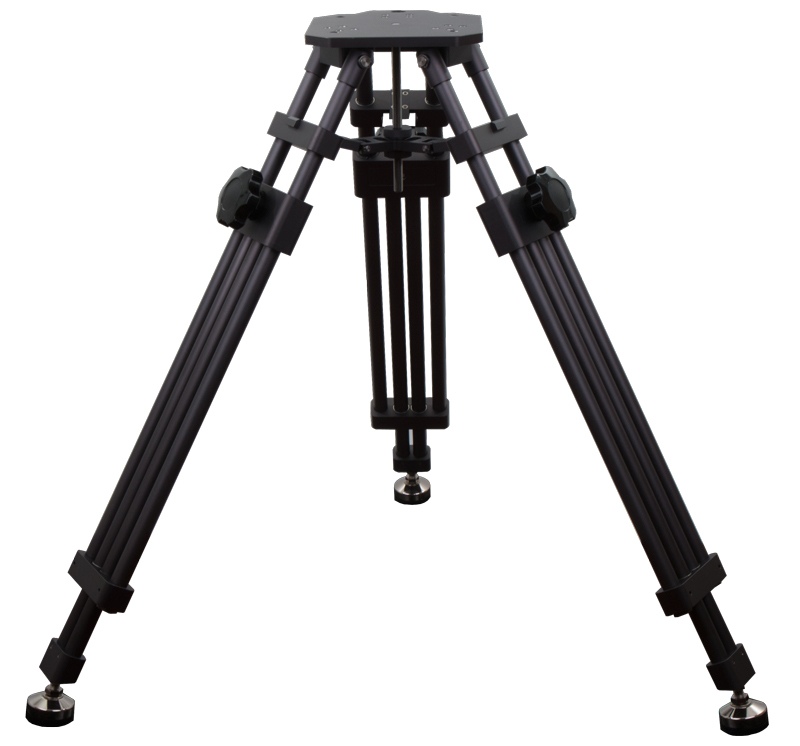 Tripod made to carry the large system.